By 1943 the US bombers raiding German cities spurred the Reich Air Ministry (RLM) to seek interesting technical solutions from industry. The theory behind the Blohm und Voss BV 40 was that a single-seat glider, armed with powerful cannon, could swoop through a formation of bombers and knock one or two down almost before it was detected. After its firing pass it was proposed that the BV 40 make a second pass towing a bomb on a cable, but this was rejected in favour of a second 30mm cannon. First towed flight took place in May 1944 and despite losses of several prototypes, the flight test programme proved the basic functionality of the BV 40, but not the feasibility of the concept, and the idea was abandoned in late 1944. The BV 40 took off on a wheeled dolly, which was then jettisoned. If it survived its mission it landed on a retractable skid. To minimize the frontal area the pilot lay prone in the cockpit with his head resting on a padded support. The small cross-section theoretically enabled the BV 40 to dive from a height onto the bombers at speeds over 805km/h. To protect the pilot against return fire from massed heavy bombers, the BV 40's cockpit was heavily armoured on all sides. The windscreen glass was 120mm thick, and armament was a pair of heavy Mk 108 30mm cannon as used in the Me 262, mounted in the wing roots and loaded with 35 rounds each. 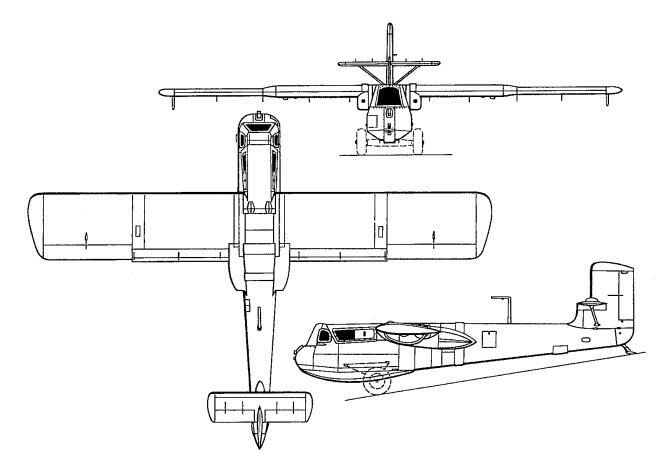 The Bv.40 was of steel construction for the fuselage and wood for the aerofoil and empennage.